Getting your venture at the top of the game and finding a position on the global map isn’t an easy thing to do. It is crucial to build a responsive site which would help the target consumers reach out to your brand anytime. With Google ranking the mobile-responsive sites higher than their un-responsive counterparts, the real picture is pretty clear. Even market stats corroborate this fact. 58% of the total search results now take place on mobiles and tabs. Mobile-friendly sites do earn brownie points when it comes to achieving high ranking on Google SERP. If you are planning to build a mobile-ready, responsive site, make sure the experience is smooth, hassle-free, seamless, and flawless for viewers. It’s right here that mobile-SEO strategies come to work. The Mobile-SEO practice refers to the process of optimizing your site for seamless view across mobile devices. Such practices conform to the minimal resources of a mobile device (as opposed to a desktop) and render website layouts and content as per the smaller screen size of the mobile devices. This helps mobile users avail of an incredible user experience. 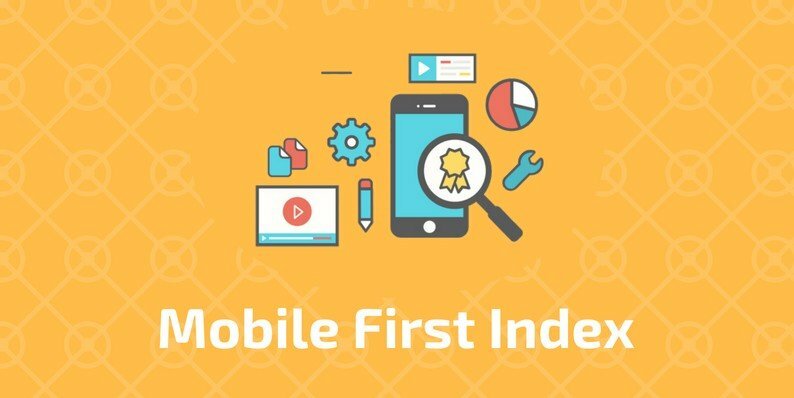 MFI or Mobile first indexing indicates towards a practice that makes mobile-SEO even more important. When Google will consider your site’s content for ranking as well as indexing, it will refer to the mobile site. That’s the starting point from where Google will begin the ranking process. Before MFI, it was a site’s desktop version that served the purpose. It’s here that site owners have to take some crucial actions. Knowing whether your site is responsive and appropriate for ‘mobile first indexing’ is the prime thing to do. Here are a few hacks for preparing your site for mobile SEO. Your site’s content is a crucial mobile SEO strategy for mobile-first indexing. You should know the art of optimizing the existing contents and develop engaging, compelling, and exciting copies. i. Word count: One of the better mobile SEO tips is to keep the content crisp and to the point. The emphasis needs to be on relevant and information-rich content. ii. Phrases and targeted keywords: Hit on the right set of keywords and create interesting contents based on them. iii. Rich snippets work great within limited spaces: Your mobile audience will quickly click on your site’s link. This will derive optimum results from your mobile SEO optimization efforts. Depending on the particular device used by your visitor, you can choose to offer either the CSS or the HTML versions. This mobile SEO tip is referred to as dynamic serving where you can utilize a single URL for a particular device. Simply put, you will have to create two individual versions of the page; one that serves for desktop and the other for mobile devices. i. Site speed: Your mobile site has to be speedy enough to keep viewers engaged. Extended periods can result in fewer visits and it’s here that stats will help you understand what’s at stake. A whopping 40% of customers and site visitors are likely to abandon a page that takes more than 3 seconds of loading time. Now, you know why your site needs to be that fast! Reduce the size of your files with compression, minimize redirects, and optimize CSS files. These actions will surely lead to a faster, swift, and prompt site. AMP is another vital factor in your mobile SEO checklist for 2019. It lets you create beautiful, attractive, and high-performing advertisements across devices as well as platforms. With light HTML and CSS codes, these pages have a faster loading time compared to their counterparts. As an outcome, the click-through rates and mobile rankings will increase effectively. iii. Do away with technical errors: A 404 signal when a customer visits your mobile site can affect your brand adversely. Make sure there are no technical errors in the website including faulty navigation, duplicate content, or other issues. While performing site audits, make sure you don’t ignore customer experience. The UX is one of the most crucial mobile SEO best practices. It plays a major role in driving a stellar mobile user experience. While navigating through your site, users shouldn’t miss the experience they get when visiting the site in a desktop. Before embarking on the project, it is highly imperative to understand why you are doing it. Developing a mobile-responsive site and strengthening mobile-SEO is of paramount importance. Statistics from reliable sources suggest that mobile searches have shot up by at least 35% when it comes to tracking product reviews. Over a span of two years, mobile search for the term ‘best’ has also increased by 80%. These updates are enough to divulge the significance of mobile-SEO for a business. If you wish to know how to do it effectively in 2019, this will be the right starting point for you. Adhere to this mobile SEO guide, and drive higher conversions from your mobile user base.